Dr. Goddard conducts research, mentors graduate and undergraduate students, and teaches courses in the topics of nuclear security and nonproliferation. He has over 5 years of domestic and international professional experience in industry, national laboratories, and academia. Dr. Goddard has extensive knowledge of the radiation transport code Monte Carlo N-Particle (MCNP) and has modeled and benchmark numerous gamma and neutron detection systems. He has over 10 peer reviewed journal publications and over 20 conference proceedings. Dr. Goddard is the principal investigator for the Nuclear Security and Nonproliferation Laboratory and supervises over the Radiation Detection and Measurement Laboratory and Environmental Radionuclide Assay Laboratory. Dr. Goddard is a Nuclear Nonproliferation International Safeguards Fellow, a member of the Strategic Planning Committee for the Institute of Nuclear Materials Management, and a World Institute for Nuclear Security certified Nuclear Security Professional. 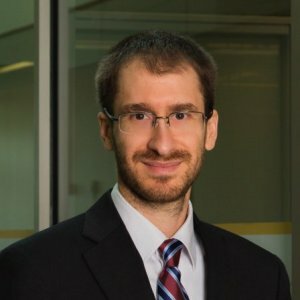 Dr. Braden Goddard is an assistant professor in the Department of Mechanical and Nuclear Engineering at Virginia Commonwealth University (VCU), where he founded the Nuclear Security and Nonproliferation group. Goddard conducts research, mentors graduate and undergraduate students, and teaches courses on the topics of security, nonproliferation and radiation measurements. Goddard oversees three laboratories at Virginia Commonwealth University: The Nuclear Security and Nonproliferation Laboratory, the Radiation Detection and Measurement Laboratory and the Environmental Radionuclide Assay Laboratory. He enjoys working in academia because every day is different, he has the freedom to make his own hours and can do what he thinks his most important. Goddard completed his master’s research with Dr. Sean McDeavitt and doctoral degree with Dr. Bill Charlton. “When my Ph.D. committee told me that I passed my defense this meant a lot to me because the people I respected the most now considered me to be a fellow doctor just like them,” said Goddard, who recommends students take fewer hours if possible to focus on getting good grades and learning the material. 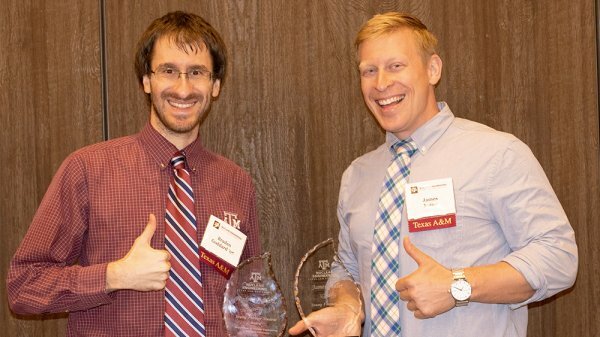 “This will also allow you to be more involved with American Nuclear Society (ANS), Institute of Nuclear Materials Management (INMM), Women in Nuclear and undergraduate research, thus distinguishing yourself from others,” he said. "Dr. Goddard is an excellent scientist and professor, with a strong work ethic, solid motivation and excellent personal initiative. 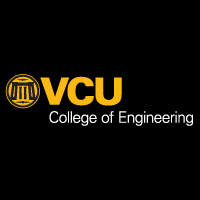 His diverse background, combined with his dynamic personality and true commitment to our students, make him one of the best assets of VCU’s nuclear engineering program." In the two-semester project, the students are working to optimize a key component of the device — a wedge piece — so that it is effective on any type of floor and can be more easily mass produced at an affordable cost. The students will present their work at a senior design expo in April. Trafficking of Illicit nuclear or radiological materials is a global threat which can involve and adversely affect any country. Ultimately, it is the responsibility of each state to prevent and combat illicit nuclear trafficking by screening all cargo and travelers entering, exiting, and transiting through its borders. As a part of the national radiation detection infrastructure of the United Arab Emirates (UAE), a reachback program was established at Khalifa University (KU) to provide capabilities for adjudication of radiation alarms at Khalifa Port and other radiation portal monitor (RPM) locations. In addition to the main mission, KU Reachback aims to educate and prepare local talent to lead these vital efforts in the future. This is particularly important because the UAE, similar to other newcomers to the nuclear industry, faces human capital challenges which can be addressed using domestic or regional solutions. Safeguarding nuclear material is an important and challenging task for the international community. One particular safeguards technique commonly used for uranium assay is active neutron correlation counting. This technique involves irradiating unused uranium with (α, n) neutrons from an Am–Li source and recording the resultant neutron pulse signal which includes induced fission neutrons. Although this non-destructive technique is widely employed in safeguards applications, the neutron energy spectra from an Am–Li sources is not well known. Several measurements over the past few decades have been made to characterize this spectrum; however, little work has been done comparing the measured and theoretical spectra of various Am–Li sources to each other. This paper examines fourteen different Am–Li spectra, focusing on how these spectra affect simulated neutron multiplicity results using the code Monte Carlo N-Particle eXtended (MCNPX). Two measurement and simulation campaigns were completed using Active Well Coincidence Counter (AWCC) detectors and uranium standards of varying enrichment. The results of this work indicate that for standard AWCC measurements, the fourteen Am–Li spectra produce similar doubles and triples count rates. The singles count rates varied by as much as 20% between the different spectra, although they are usually not used in quantitative analysis, being dominated by scattering which is highly dependent on item placement. As new reprocessing techniques and fuel forms are developed, the ability of inspection agencies and facility operators to measure powders containing several actinides becomes increasingly necessary. Neutrons emitted from induced and spontaneous fission of different nuclides are very similar, making it difficult to measure these powders with nondestructive assay techniques. To measure the powders, a neutron multiplicity technique based on first-principle methods was developed to exploit isotope-specific nuclear properties, such as energy-dependent fission cross sections and neutron-induced fission multiplicity. This technique was tested through measurements using an epithermal neutron multiplicity counter with two different interrogation (α,n) sources and varying plutonium materials. To complement these measurements, extensive Monte Carlo N-Particle eXtended (MCNPX) simulations were performed for each measured sample, as well as samples that were not available to measure. The primary application of this first-principle technique is the measurement of materials containing uranium, neptunium, plutonium, and americium. This technique still has several challenges that need to be overcome, the largest of these being the ability to produce results with acceptably small uncertainties. Uranium is present in most nuclear fuel cycle facilities ranging from uranium mines, enrichment plants, fuel fabrication facilities, nuclear reactors, and reprocessing plants. The isotopic, chemical, and geometric composition of uranium can vary significantly between these facilities, depending on the application and type of facility. Examples of this variation are: enrichments varying from depleted (~0.2 wt% U-235) to high enriched (>20 wt% U-235); compositions consisting of U3O8, UO2, UF6, metallic, and ceramic forms; geometries ranging from plates, cans, and rods; and masses which can range from a 500 kg fuel assembly down to a few grams fuel pellet. Since U-235 is a fissile material, it is routinely safeguarded in these facilities. Current techniques for quantifying the U-235 mass in a sample include neutron coincidence counting. One of the main disadvantages of this technique is that it requires a known standard of representative geometry and composition for calibration, which opens up a pathway for potential erroneous declarations by the State and reduces the effectiveness of safeguards. In order to address this weakness, the authors have developed a neutron coincidence counting technique which uses the first principle point-model developed by Boehnel instead of the “known standard” method. This technique was primarily tested through simulations of 1000 g U3O8 samples using the Monte Carlo N-Particle eXtended (MCNPX) code. The results of these simulations showed good agreement between the simulated and exact U-235 sample masses. Reprocessing nuclear fuel is becoming more viable in the United States due to the anticipated increase in construction of nuclear power plants, the growing stockpile of existing used nuclear fuel, and a public desire to reduce the amount of this fuel. A new reprocessing facility will likely have state of the art controls and monitoring methods to safeguard special nuclear materials, as well as to provide real-time monitoring for process control. The focus of this research was to create a proof of concept to enable the development of a detection strategy that uses well established gamma and neutron measurement methods to characterize samples from the Uranium Extraction Plus 3a (UREX+3a) reprocessing method using a variety of detector types and measurement times. A facility that implemented real-time gamma detection equipment could improve product quality control and provide additional benefits, such as waste volume reduction. In addition to the spectral analyses, it was determined by Monte Carlo N Particle (MCNP) simulations that there is no noticeable self-shielding for internal pipe diameters less than 5.08 cm, indicating that no self-shielding correction factors are needed. Further, it was determined that High Purity Germanium (HPGe) N-type detectors have the high gamma ray energy resolution and neutron damage resistance that would be required in a reprocessing facility. Finally, the gamma ray spectra for the measured samples were simulated using MCNP and then the model was extended to predict the responses from an actual reprocessing scenario from UREX+3a applied to fuel that had a decay time of 3 years. The 3-year decayed fuel was more representative of commercially reprocessed fuel than the acquired UREX+3a samples. It was determined that the 3-year decayed fuel is easier to apply real-time process monitoring due to an increased number of short lived detectable isotopes. This research found that real-time gamma ray detection for process monitoring would be beneficial to a reprocessing facility and that commercially available detectors may be adequate for the neutron environment.